Interview with Brad Weber, Pick A Piper. 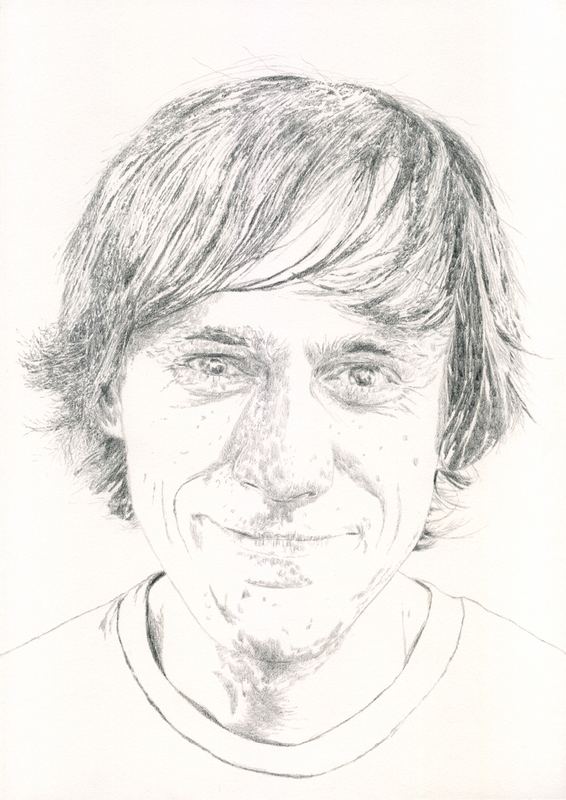 Pick A Piper is a collaborative project by Caribou drummer Brad Weber. The Toronto band comprises of friends Clint Scrivener, Angus Fraser, Dan Roberts and others. Pick A Piper began as a side-project back in 2009 where songs were penned by Weber in between Caribou’s shape shifting tours-crossing continents and blurring boundaries of sound. Similar to Dan Snaith’s Caribou, Weber combines organic and synthetic elements forming a unique blend of organic dance music. A spectrum of sound is effortlessly created, where psych, dream pop, electronica, afrobeat, and dance are joyously fused together. Pick A Piper’s debut album represents an eclectic, vibrant sound collage, which serves as Weber’s own personal creative outlet as he soaks up the inspiration that surrounds him. Pick A Piper combines dance music structures, poly rhythmic percussion, atmospheric sound design, loopy melodies and a focus on electronics and production technique to create a sound poised between the organic and the synthetic. My first taste of Pick A Piper came upon last year’s arrival of the infectious single ‘Lucid In Fjords’. The song is a swirling psych pop odyssey and features Ryan McPhun, of Ruby Suns fame, on lead vocals. This track is the opener to Pick A Piper’s debut self-titled record, and what a stunning opener it is. An irresistible dream pop feel flows throughout: the electric guitars echo Link Wray, the beats and samples is a distillation of an indispensable record collection, pop hooks that are utterly infectious and a bassline groove straight from Studio One. ‘Lucid In Fjords’ invites you to “dream out loud”. To coin a Beach Boys song, ‘Feel Flows’ as the sonic canvas envelopes you in. Next up is current single, ‘All Her Colours’. Yet again, the organic and synthetic are fused together. A seamless array of intricate arrangements are masterfully crafted. The rise on this song is sunshine pop circa ‘Odyssey And Oracle’ by The Zombies, before beats and menacing synths return on the verse. In fact, the song reminds me of The Postal Service where Tamberello’s electronic wizardry combines with Gibbard’s uncanny pop sensibilities. ‘All Her Colours’ effectively blurs the lines and leaves the listener wondering, how and just what is that sound? ‘Cinders And Dust’ contains a slow, deep groove that floats in the air’s atmosphere. Glorious harmonies, electronic glitches, are interwoven between the track’s delicate pop structure. ‘Cinders And Dust’ is somewhere between Dan Snaith’s Caribou and Junior Boys. ‘Once Were Leaves’ is one of the album’s centerpieces. A hidden dimension is tapped into here with the ethereal vocals by Raphaelle Standell-Preston (Braids). This song is reworked here and it is the utterly transcendent vocals by Preston that stops you immediately in your tracks. A whirlwind of percussion, synths, brass and a myriad of other sounds, form the sound clouds for the Cocteau Twins-esque dreamy pop creation. A new path is ventured on with ‘South To Polynesia’ – a drum and bass tour de force infused indie-pop anthem. The song has got rhythm aplenty as a free-jazz world of Sun Ra is conjured up. Flutes and woodwind, percussion, beats, bass, harmonies and brass are just some of the elements present in the mix of genre bending sound. The best arrives four and a half minutes in, as the song evolves into a trance-dance opus where a ‘Dark Side Of The Moon’ odyssey is created before your very ears. Pick A Piper’s stunning self-titled debut is an album that reveals more and more upon every listen while endlessly revealing music’s limitless possibilities. The self-titled debut album by Pick A Piper will be available 2 April 2013 on Mint Records. Congratulations first of all, on the incredible debut album from Pick A Piper. You must feel very proud. The sound you create is effortlessly placed somewhere between the synthetic and organic, with an array of found sound samples, synths, electronic percussion, reverb, and atmospheric soundscapes. Please discuss this blend of organic dance music Pick A Piper tap into so well. Thanks so much! Pick a Piper was originally formed to channel my impression of dance music using organic instrumentation. We had loads of drums & percussion, acoustic guitar, glock, turkish saz, flutes and a ton of other sounds and samples to create something funky and dancey with. The structures and feel were very much alike with dance music, but the sounds weren’t. As I’ve continue to listen to a lot of contemporary electronic music and DJ mixes, our sound has slowly evolved into something more electronic while still maintaining a lot of the organic roots. I’m really interested blurring the lines and leaving the sound source up to the interpretation of the listener. I like that people have no idea which beats I played and which ones I programmed and if a sound is a flute or a moog patch. As the drummer in Caribou’s live incarnation, you are immersed in one of the most compelling bands making music today. Please explain how this part of your life in working with Dan Snaith, feeds into your own musical entity of Pick A Piper, and how it developed from a side-project into a fully bloomed sonic venture? Dan Snaith has certainly been my biggest musical influence of the last 6 years. He’s an encyclopedia for all the music that I’ve always wanted to hear but never known of its existence. These mind-blowing, game-changing records have forever changed the way I write, perform and work. All the same, it’s always been a natural extension of where I was already heading. Pick a Piper has been around since 2009, but it’s always been a project I worked on in off periods of Caribou touring. I wouldn’t even call it a side project as much as it’s my personal creative outlet to periodically pour ideas into that I’ve been pondering for an entire tour or whatever. I would love to gain an insight please into the recording of the self titled debut, and what vision you had for the sound you wanted to create? I wanted to blur the lines between organic and electronic and bring my current sense/excitement of electronic music production to create something that sat in the middle. A lot of the songs on this record started out as little loops that I created in the back of the tour van or on a cramped airplane. Then when I had time off, I’d come home and flesh these ideas out into complete songs. The overall process I would describe as “sampling my friends”. I recruited lots of pals whose musicianship I trust to come in and record various ideas/loops/bits along to tracks that I had already started. Often two or more people would record along to the same base tracks without hearing the other person’s ideas. I did this with both my main bandmates (Angus Fraser & Dan Roberts) as well as a bunch of other good pals. I choose what I liked and then cut up and manipulated what they had given me and made full tracks of it. In the end I had a few good folks re-record our vocal ideas with their voice, or in some cases (like “All Her Colours” for instance) give me entirely new vocal ideas (that ended up being amazing!) I believe a lot in collaboration – you’ll find a lot of that on this record while tricking the listener into thinking it’s the ideas of just one or two people. My first introduction to Pick A Piper was last year’s single, ‘Lucid In Fjords’. I love the title! The song is a psych pop odyssey-electric guitars a la Link Wray, a hypnotic bassline, divine synths and a plethora of organic/synthetic sounds. Discuss the importance of this song please and talk me through please the construction of ‘Lucid In Fjords’. This one had lots of different input and was a lot of fun to write. I started it with a bassline, beat & simple synth arpeggio and just couldn’t get it to work. The track was super boring with an uninspired structure, so I threw it away. It wasn’t until half a year later that I came back to it and completely re-structured the track (no idea why I bothered trying again) that everything came into place. Angus’ original vocal melody suddenly made so much more sense and the track went from a total clunker to one of my favourites. My flatmate Jared added some guitar and I recruited my good pal Ryan McPhun from The Ruby Suns to re-record Angus’ vocals with his voice. Ryan did just that, but also gave me another melody that was absolutely incredible, so I used both! What are the defining records for you, firstly in terms of production, and secondly, in terms of songwriting? For production, I love Can records, My Bloody Valentine: “Loveless”, newer stuff like Clams Casino, Chancha Via Circuito, Junior Boys. Songwriting, Zombies: “Odyssey and Oracle”, Smashing Pumpkins: “Siamese Dream”, A.C. Newman “The Slow Wonder”, Beach Boys: “Pet Sounds”. I dunno, I’m terrible at these types of questions. These are just a few that popped into my head. Pick A Piper is a collaboration between you and your friends, Clint Scrivener, Angus Fraser and Dan Roberts. I would love to know how you guys met and the origin of Pick A Piper? 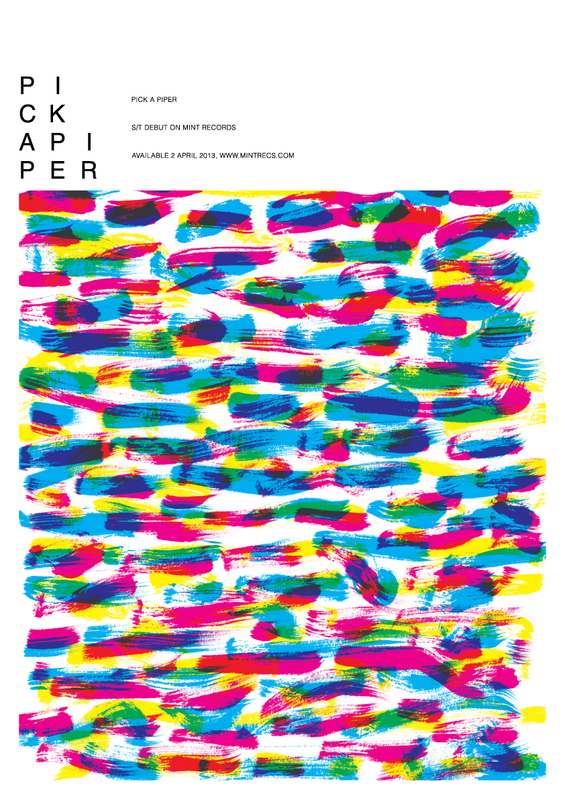 Pick a Piper was formed in 2009 after I did my first stint for a couple years with Caribou. I needed a new outlet to get my own ideas out of my system. I recruited two very dear childhood friends (Dan and Angus) and Clint (who I had met in college) and was amazed how the project came to life. I guess the best way to describe it is “collaboration with central guidance (sorry, that sounds like something from a board room meeting!). I’m basically guiding/producing/arranging the whole process myself, but I certainly couldn’t do it on my own. Angus, Dan and Clint brought a ton of incredible ideas to the table and were key to making my visions come to life! Our live shows used to be insane double or triple (sometimes quadriple!) drum jams with a bit of singing and other instrumentation thrown in (or at least that’s how I felt). The band went on hiatus for a year or two while I was touring “Swim” and we’ve come back as a 3-piece with a tighter sound and a better balance between drum freakouts and sparse bits with careful vocal nuances. We’re still solid pals with Clint, but he left to become a daddy and is focusing on family now. Discuss the music scene in Toronto? What are your favourite bands at the moment? Here are 3 of come off the top of my head. There’s so much more incredible music happening though. Psych/noise/kraut group with one of my best pals Andy Lloyd on bass. Their live shows are insane. Sometimes they play inside of a pod with projections on all sides, sometimes they have a 4-piece horn/string section. I actually have no idea what to expect, ever, so I love them. Invisible City Sound System is a collective of DJs that explore the history of dance music from around the world. They seem to focus on disco, boogie, early house, techno, and obscure funk. I’ve never once recognized a track and I’ve loved every single one I’ve ever heard. They recently even went to Trinidad and hand picked a pile of records from some vault there and made an incredible mix with it. I know a lot of bands are trying their hands at the gypsy/klezmer thing these days, but these guys just do it better than almost anyone. They are probably one of the hardest working bands I’ve ever seen and their shows generally spill out into the streets and parade around town. They even organized a flash mob that in one night took over 2 intersections, a subway car and the main hall of Union Station. They also entertained people on board an Air Canada flight to Romania when the flight was delayed on the runway. But it’s less about antics and more that they just put on a killer performance. My favourite song on the album is ‘Once Were Leaves’. It has this irresistibly seductive slow-tempo groove. The female vocals are gorgeous. Again, with all of Pick A Piper songs, there is a kaleidoscope of sounds that form into one cohesive whole. There are so many beautiful moments on this song that are utterly transcendent-the female vocals (who is singing there? ), the looping harmonies, the brass, drums/percussion, dreamy synths. Sublime! Please talk me through the creation of this song? This one is by far the oldest of the bunch! Look online for a song called “Yellowknife” from our self-released EP in 2009 (green cover with tambourines). We still loved this song so much and decided it was worth completely re-envisioning it for the record. We went up to a snowy cottage in the middle of winter last year and fleshed out the new version in a single weekend. We made it much more spacious and atmospheric than the original, which was full of chugging acoustic guitars and overpowering horns. I fell in love with Raphaelle’s voice a couple years ago and had met her a few times at various shows. I thought she’d be perfect for the track and got in touch to see if she would be interested in singing on this track. I gave her the original vocal part and said “you can can sing this if you want, or whatever else you’d like”. She proceeded to take our original melody and flip it on it’s head, chopped and diced and completely re-imagined it to a place I never would have thought of. I got an ableton session back from her with probably over 100 little edits and splices and tons of interesting effects. Her part completely blew me away and was exactly where I was hoping the track would go, but didn’t know it! I love collaboration for that reason. Your record collection must be vast and diverse. When listening to Pick A Piper, worlds of psychedelia, dance, pop, electronica, ambient, jazz, dub and more, penetrates the head-space. On this album, when writing a song, do the words form the song or could it be a single sound that triggers a song’s creation? Usually it starts with a beat! That is what so often determines the overall feel of the song. It’s my first instrument and kinda always what I fall back on. ‘South To Polynesia’ is incredible. I love the vocals. A compelling free-jazz intro before layers of woodwind, drums, bass and harmonies enter the mix. The moment, perhaps four minutes in, when the song evolves into a beautiful frenzy of trance-dance is utterly transcendent. The brass enters shortly, and a vibe of ‘Dark Side Of the Moon’ is formed. Discuss please the sequencing and production to ‘South To Polynesia’? South To Polynesia was originally two separate tracks. The first loop that starts the song and the chord progression at the end. Clint wrote the ending progression and gave me a big ableton session with a song that included it. I cut the rest out and tried so hard to find a song that his bit would fit into. It just wasn’t happening for the longest time though. It was that same snowy cottage weekend where we re-recorded Once Were Leaves that I finally married it to a new-ish loop of mine that would go on to start the track and become the backbone for most of the song. Dan filled in the gaps with loads of automated drones and my friend Colin Fisher eventually laid down a ridiculous sax part! I love having such talented friends! Take me back please to the Caribou/Radiohead tour last year where you toured big stadiums across the world. Listening to Pick A Piper I hear the influence of live performance, as the songs have this fluid feel, the sonic layers in constant motion. It was an incredible experience for sure. I think probably the most inspiring aspect of the whole tour was how real they were as people. Everyone, both band and crew, were really warm, down to earth and incredibly welcoming. It’s nice that musicians at that level can be such sincere and genuinely grounded people. With Pick a Piper I hope to continue to spread this type warmth and compassion to all the people we meet along the way. Musically our live show has always been really important to us. We have 3 drum setups of various sizes on stage as well as a slew of midi controllers and samplers to re-create our sonic world live. Dan and Angus are constantly triggering hits, loops and effecting and manipulating them on the fly. Same goes with their vocals. I’m really proud of our live show and have certainly been influenced by Caribou and Radiohead along the way! I’d love to. We’ll see how it goes at home first! I’ve played Cork a couple times in the past and the crowds were manic. Such a fun city!